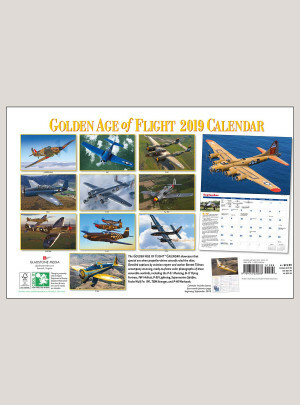 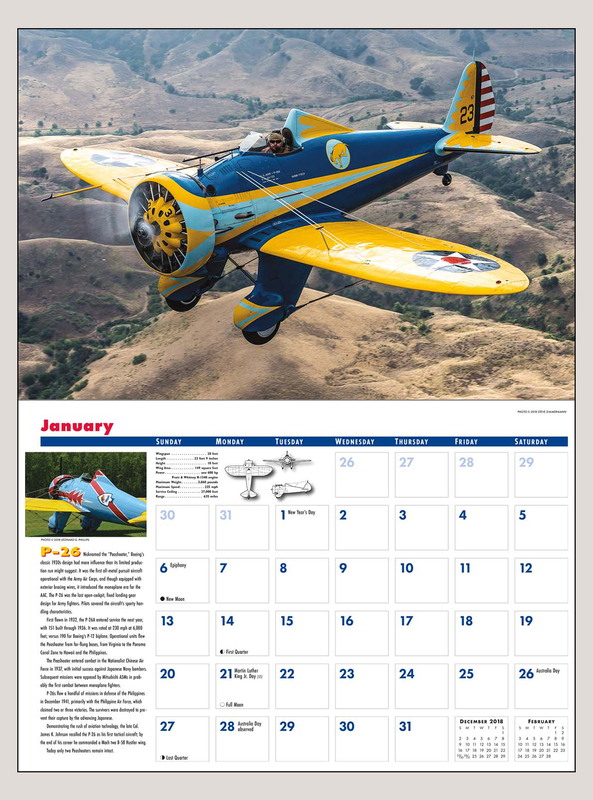 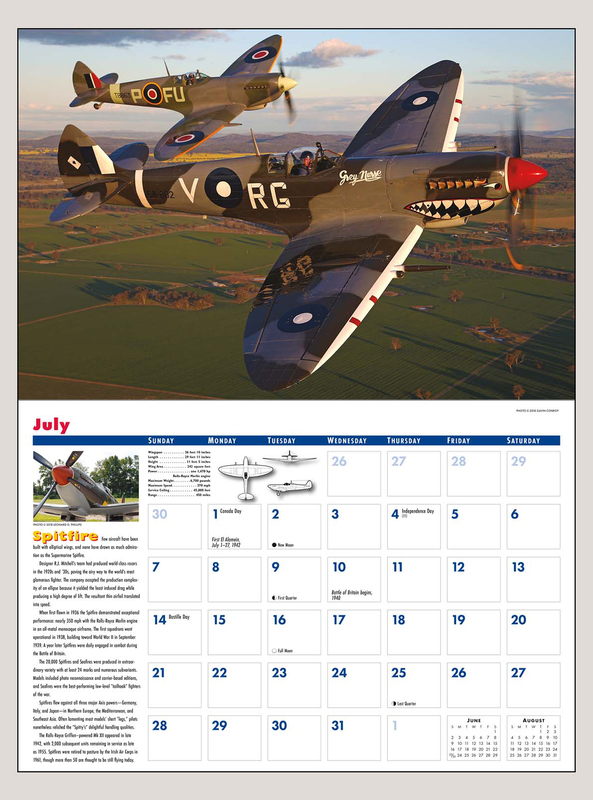 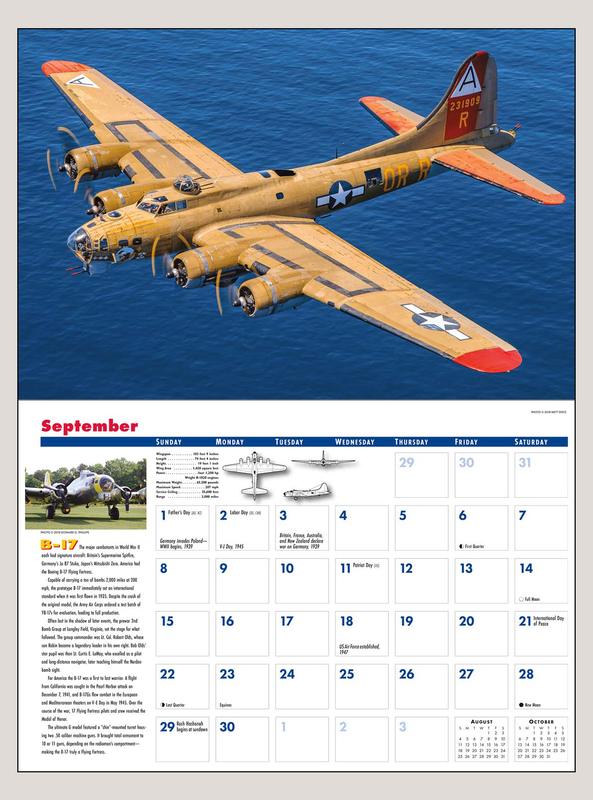 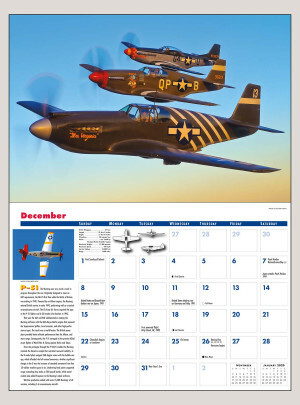 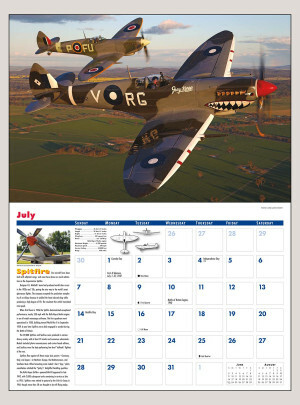 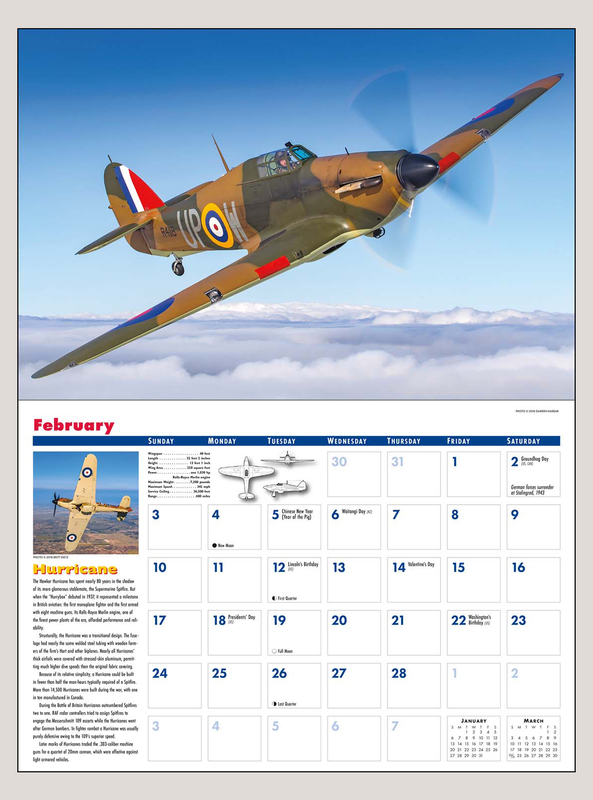 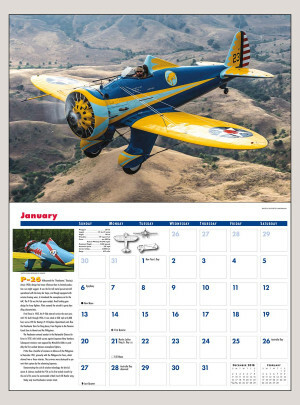 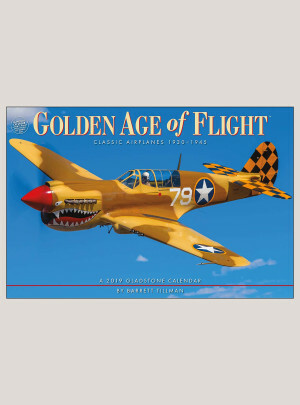 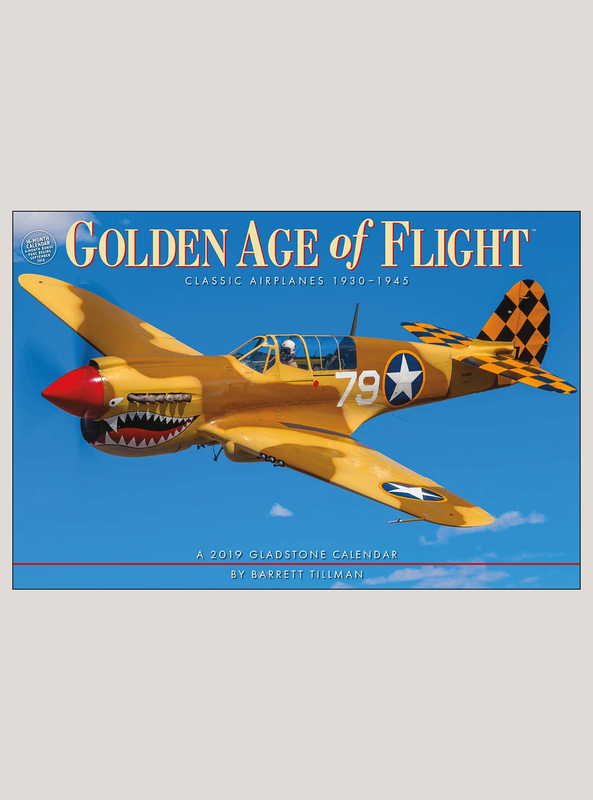 The Golden Age of Flight™ wall calendar salutes that special era when propeller-driven aircraft ruled the skies. Detailed captions by best-selling author Barrett Tillman accompany striking, ready-to-frame photographs of these venerable warbirds. 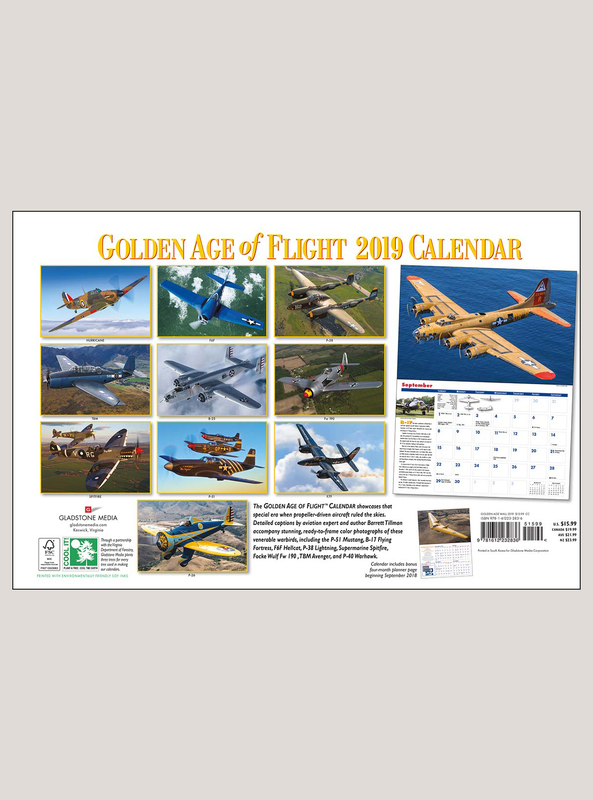 Featured aircraft include the P-51 Mustang, B-17 Flying Fortress, F6F Hellcat, P-38 Lightning, Supermarine Spitfire, Focke Wulf Fw 190, TBM Avenger, and P-40 Warhawk.